"The place looked great and I got so many calls about how delicious the food was... Thank you, thank you, thank you!!!" Save the Date and Spare the Stress with full-service Manhattan venues and the NYC event planning experts at Metronome. With Metronome Hospitality Group, creating the most memorable Manhattan events is easier than ever before. 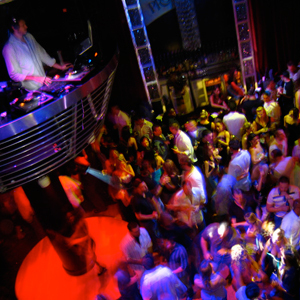 Five amazing NYC event spaces, from full-service Manhattan venues to the hottest Atlantic City event space inside the Tropicana Resort and Casino, will delight and amaze your guests while our experienced and talented event service staff and corporate event planners exceed all expectations. Our NYC event planners have worked with groups large and small, corporate and private, to create the most breathtaking events you’ve ever seen. Truly a one-stop shop, Metronome Hospitality Group delivers white-glove treatment with red carpet results. Check out some of the great events that have called Metronome home on our video reel! The first step to planning a fabulous Manhattan event is to contact our NYC event planning professionals. Use the form below to inquire about how Metronome can make your event spectacular, or call us at 212.505.7400.